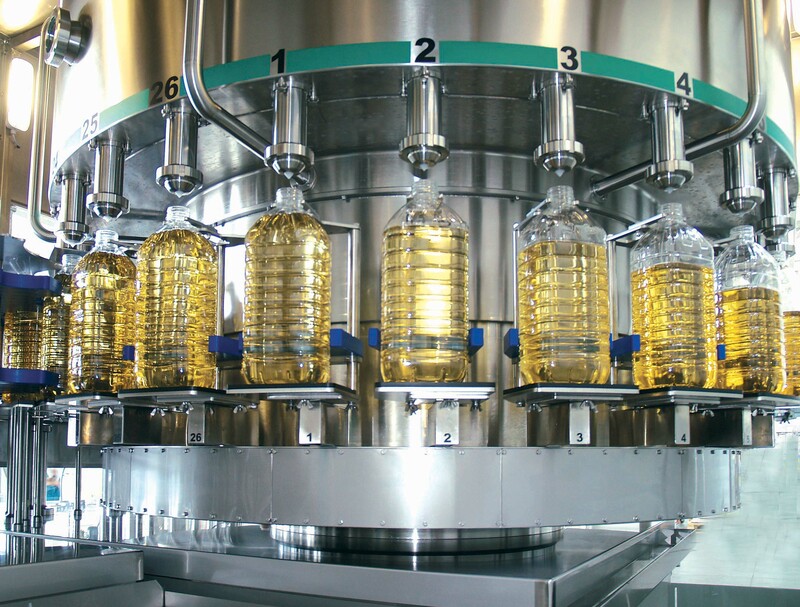 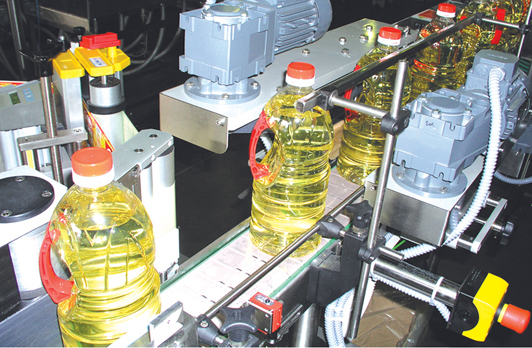 With the range of equipment of INDEX-6®, you can assemble a complete, fully automatic and flexible technological line for filling of liquid edible oils: cold pressed “organic” oils or refined edible oils, as well as other vegetable oils. 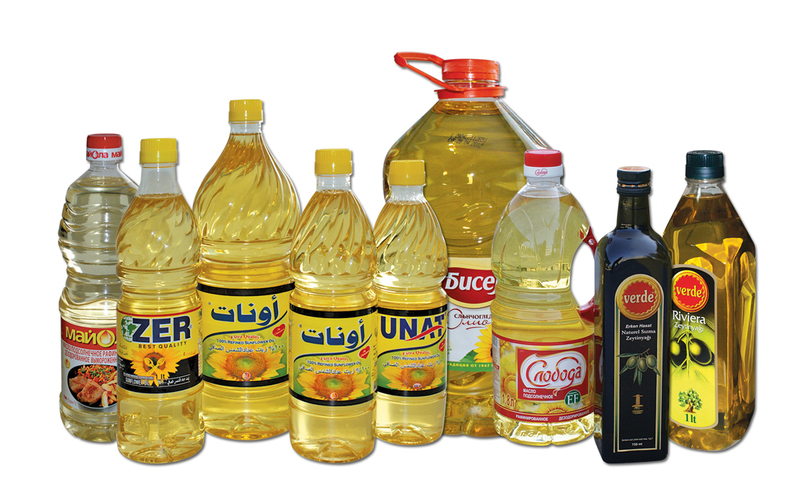 Every oil type is characterized by its specific viscosity, which predetermines the type of the filling machine. 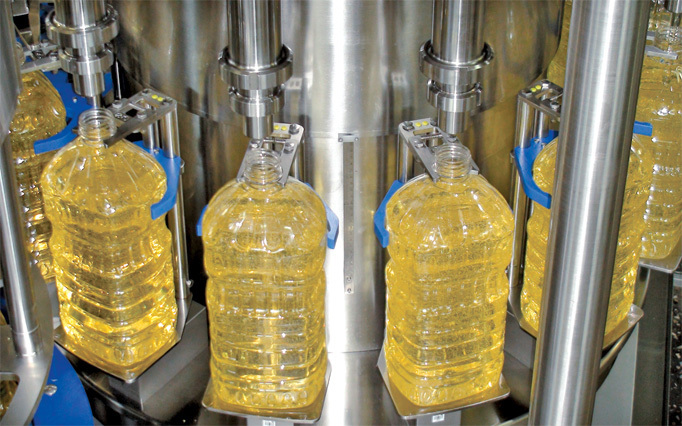 Sometimes the edible oils require “hot” filling, which impacts the type of filling modules to be utilized, as well as the type of containers. 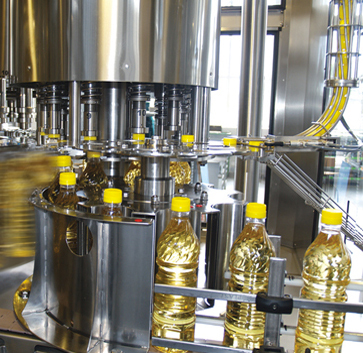 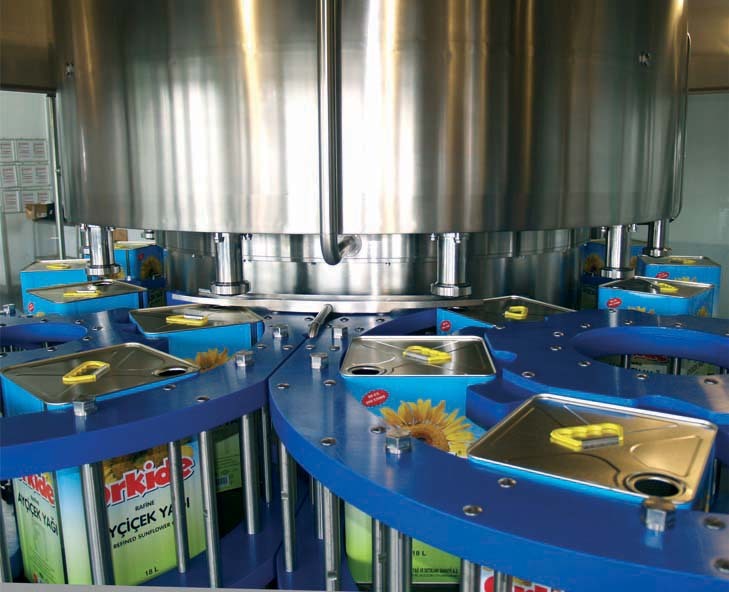 The preservation of the quality of the filled oil and its organoleptic characteristics also requires extra attention when selecting the appropriate filling equipment as this can guarantee a highly hygienic bottling process down to the final packing of the product, while avoiding its oxidation at the same time. 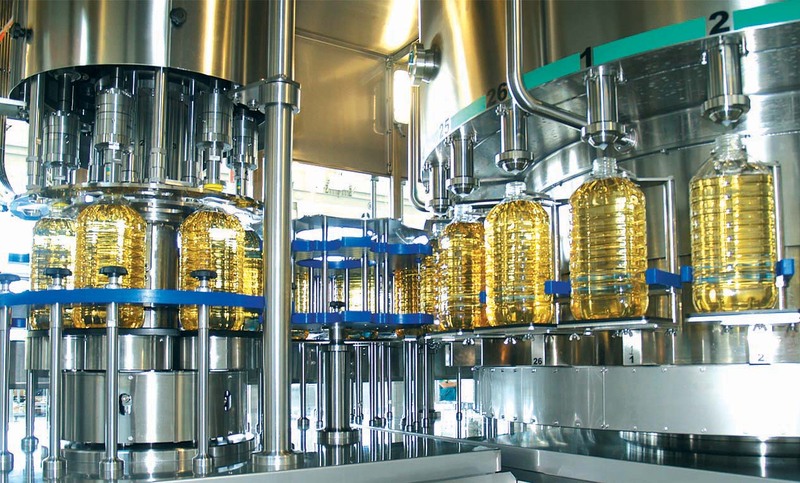 Considering the above peculiarities, we have developed and released a highly productive line, comprising weight dosing rotary machines or multiblocs from the Pragmatic® series with electronic control of the processes, and another, extremely universal line, utilizing linear machines which allows the filling of different oils such as sesame, flax, walnut, argan, corn, grape seed oil, etc., in various containers – diverse glass bottles and jars, cylindrical and flat plastic bottles, and even buckets, tubes and cans. 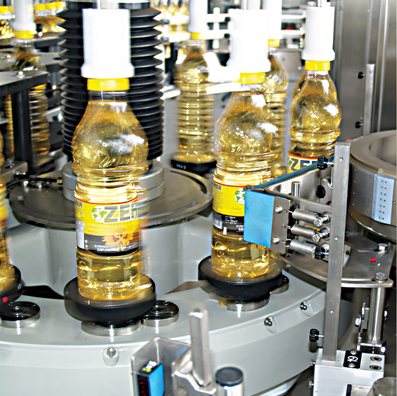 Some of the more rare oils will often require special glass bottles. 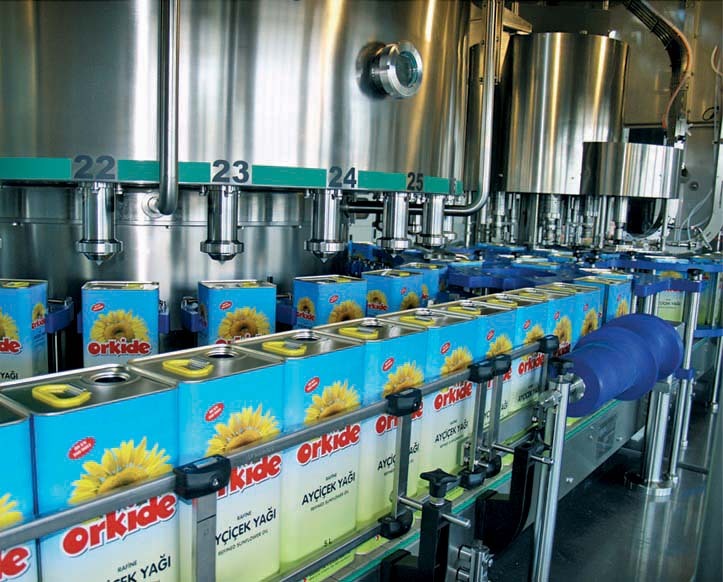 INDEX-6® does have a solution for such applications, as well. 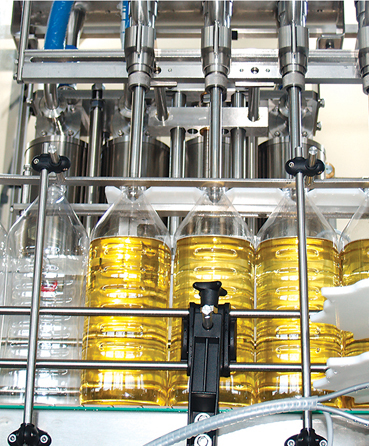 The volume of the dosed product could vary depending on the containers in the range of 0.1 to 10.0 L for bottles and up to 20 L for tubes and cans. 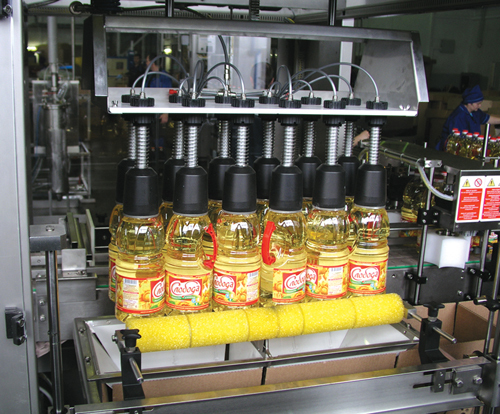 Depending on the containers the line could be equipped with unscramblers, 2 or 3 different capping machines and a combined labeling machine for body, back and collar label. 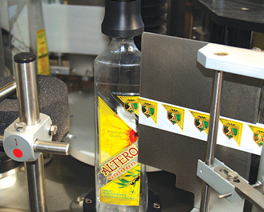 The labeling is followed by a robot for group packing of the products in thermo-shrinkable foil with or without cardboard pads; or packing in cardboard boxes. 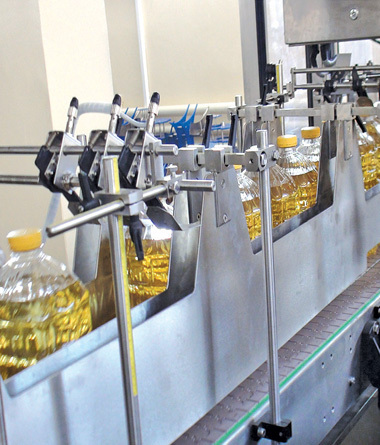 The effective capacity range that we cover with the different line configurations available is from 2000 bph to 24000 bph, which makes the INDEX-6® equipment competitive over a wide range.